Featuring a choir of seven unaccompanied singers, Silver Swan is set to Paul Clark’s acclaimed score which takes two seventeenth century melodies and weaves them into a beautifully haunting texture. 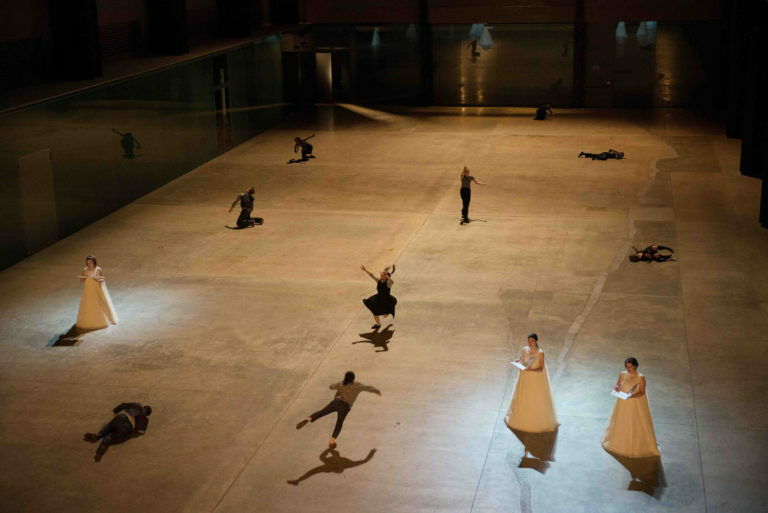 A performance that responds to the space in which it is performed – sometimes a choreographed concert, sometimes a visual poem featuring dancers and actors – Silver Swan has been performed at venues including Tate Modern’s Turbine Hall, V&A’s Raphael Room and McEwan Hall, Edinburgh. Jenny Bacon, Morag Boyle, Lyndsay Bramley, Deborah Davison, Karen Fodor, Rosemary Forbes Butler, Joanna Gamble, Adey Grummet, Tara Harrison, Ruth James, Polly May, Clare McCaldin, Natalie Raybould, Emily Sharp, Lucy Stevens, Elaine Tate, Helen Withers. Sarah Belcher, Robert Bell, Zoe Bywater, Sarah Cameron, James Flynn, Antonia Grove, Satchi Kimaura, Dan Milne, Ramona Nagabczynska, Sabina Netherclift, Uri Roodner, Alessandra Ruggeri, Linda Kerr Scott, Jason Thorpe, Mel Wilson. 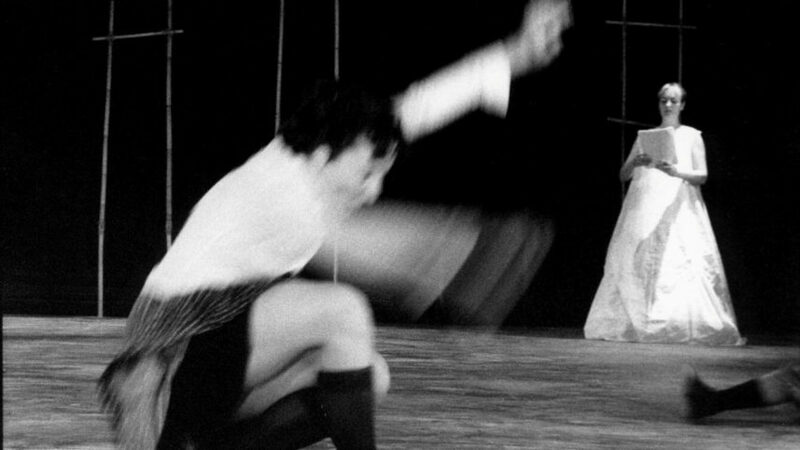 Silver Swan was originally commissioned by BAC and supported by ENO Studio and the National Theatre Studio. Since then it has been supported by Garrick Charitable Trust, The Leche Trust, PRSF, RVW trust and the Hinrichson Foundation. First performed at BAC in 1999. Since then it has been performed at The Raphael Room at the Victoria and Albert Museum as part of British Architecture Week, The Linbury Studio at the Royal Opera House as part of the Festival of Firsts, The McEwan Hall at Edinburgh Fringe Festival and Tate Modern’s Turbine Hall.